It is high time we moved on to New World Monkeys. All of the primates discussed from now on are going to be found in South America, starting with the family pitheciidae. Pitheciids include titi monkeys, saki monkeys, and uakaris. 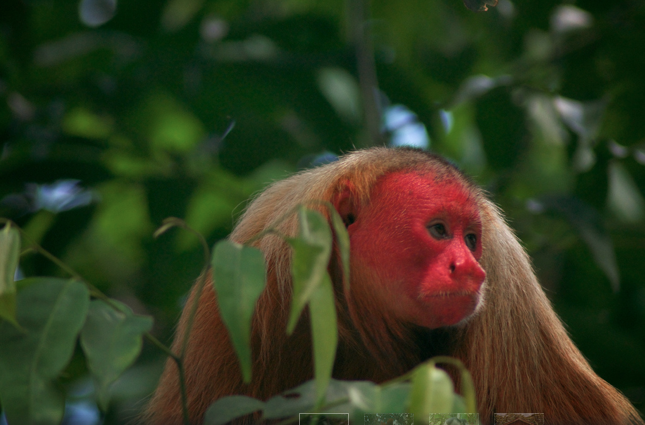 They are a pretty strange looking bunch, with the red-headed uakari being a personal favorite of mine. There is quite a bit of diversity in the pitheciidae family with most sakis and uakaris being polygamous and living in large multi-male, multi-female social groups where as titi monkeys and a species of saki are monogamous. Pitheciids are diurnal and arboreal, like almost every other species of primate. They are found mostly within the Amazonian Basin and subsist off foods like fruits and seeds. All in all there is not much incredibly special about the pitheciidae family of primates that sets them apart from the others, except maybe their extraordinary range in color.